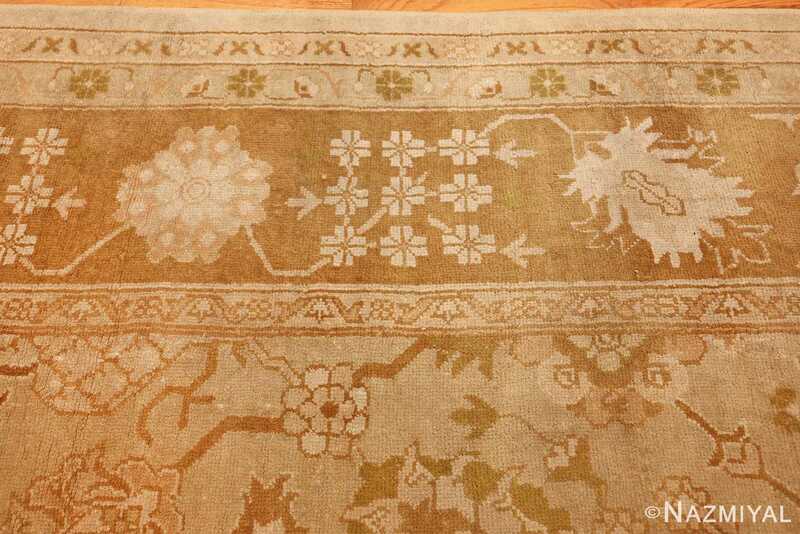 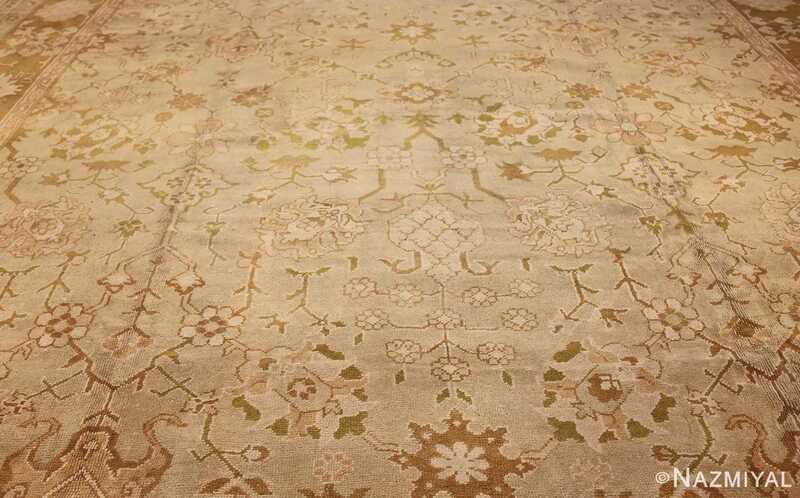 Vintage Turkish Oushak Rug, Country of Origin: Turkey, Circa date: 1950 – A delicate allover mina khani palmette design spreads gracefully across the light pistachio green field of this unusually elegant vintage Oushak. 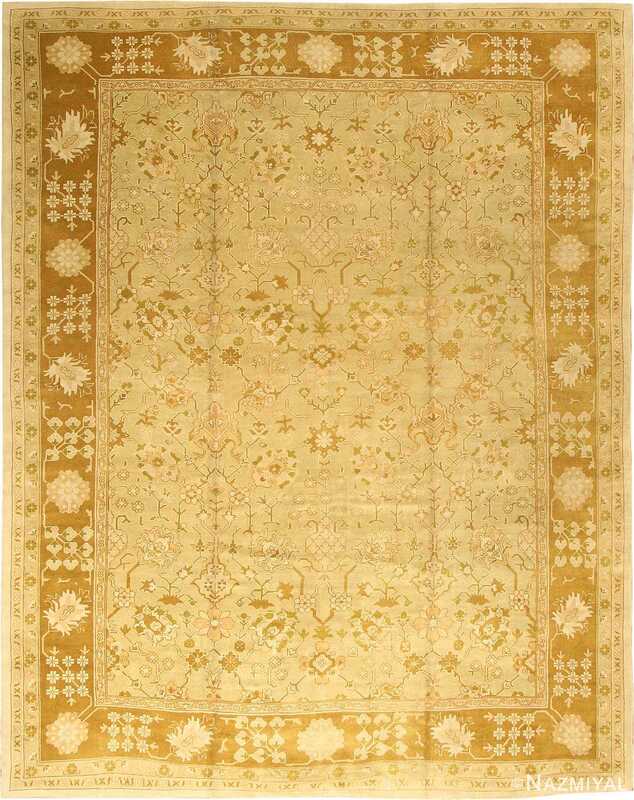 The small-scale and finely drawn design is uncustomary for an Oushak of the nineteenth or early twentieth century. It comes much closer to the Ushak rugs of the Ottoman dynasty from which it is ultimately descended. 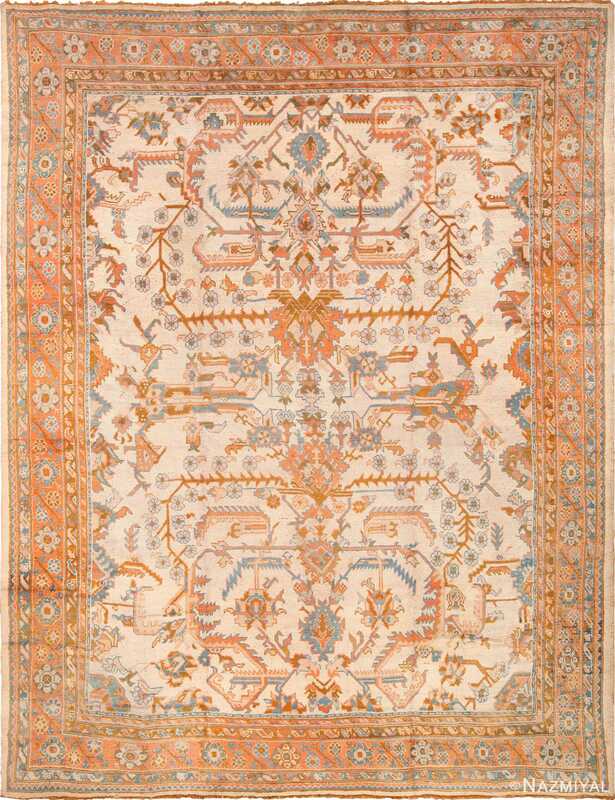 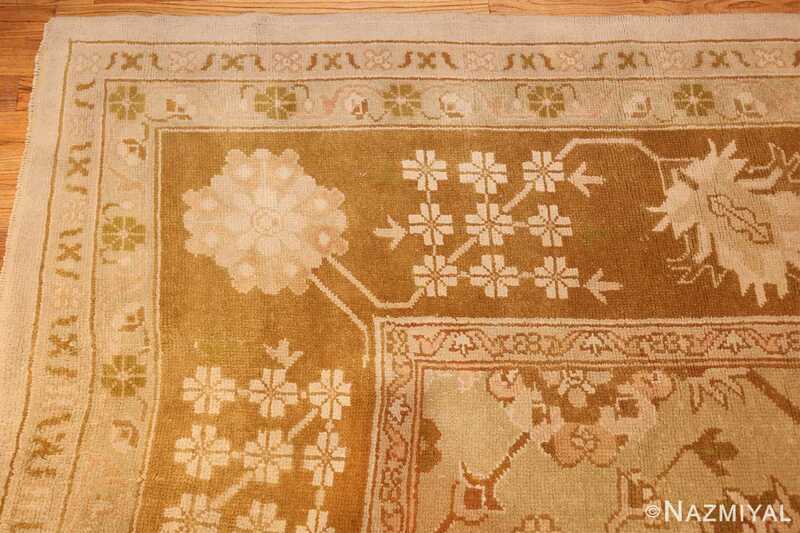 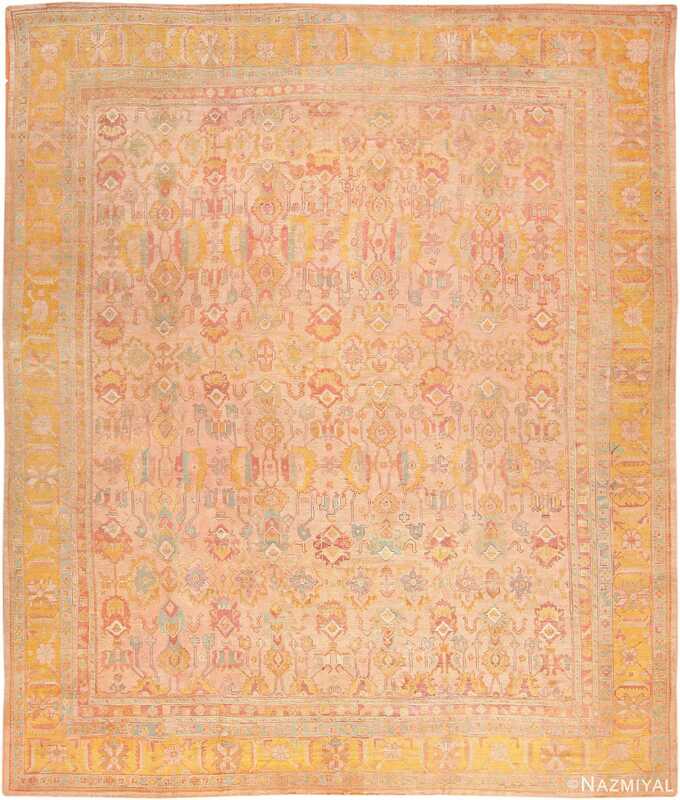 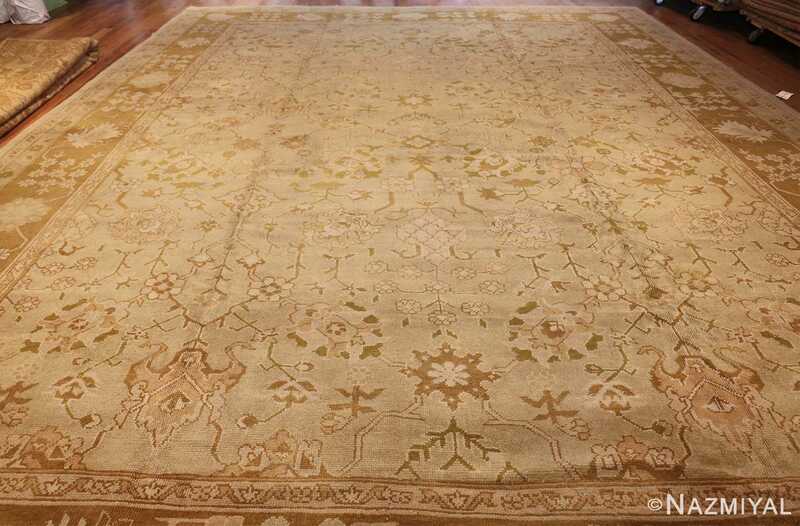 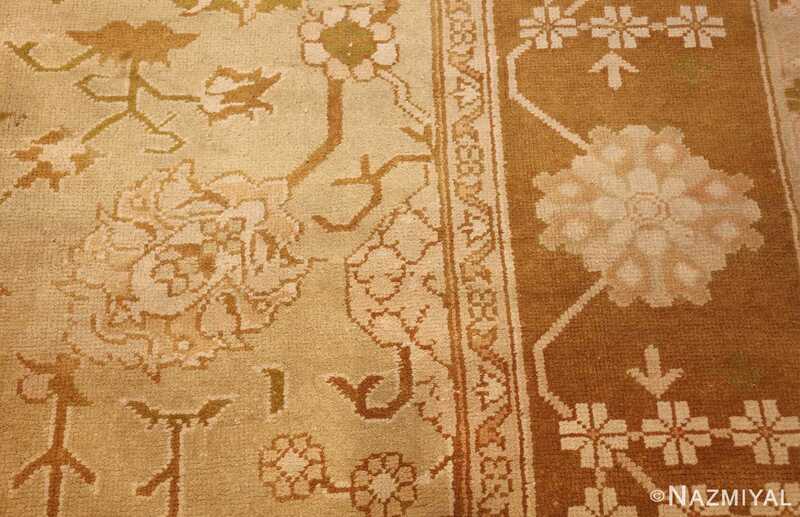 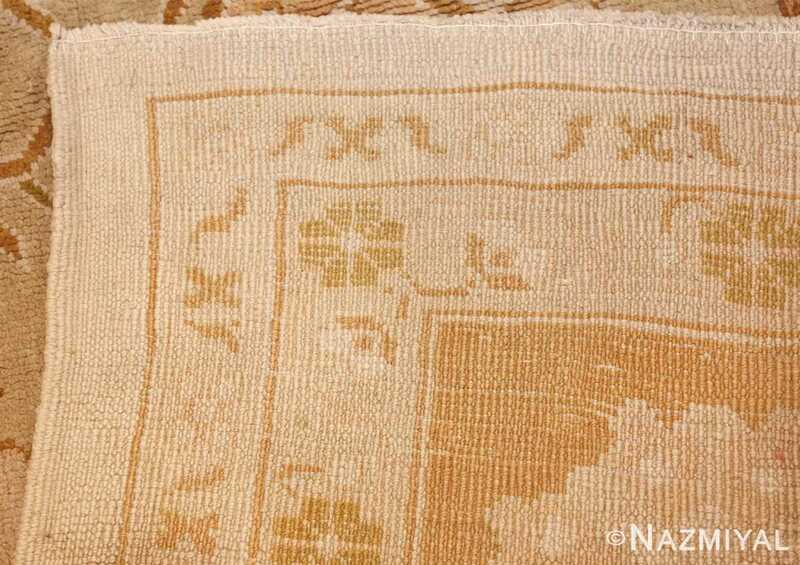 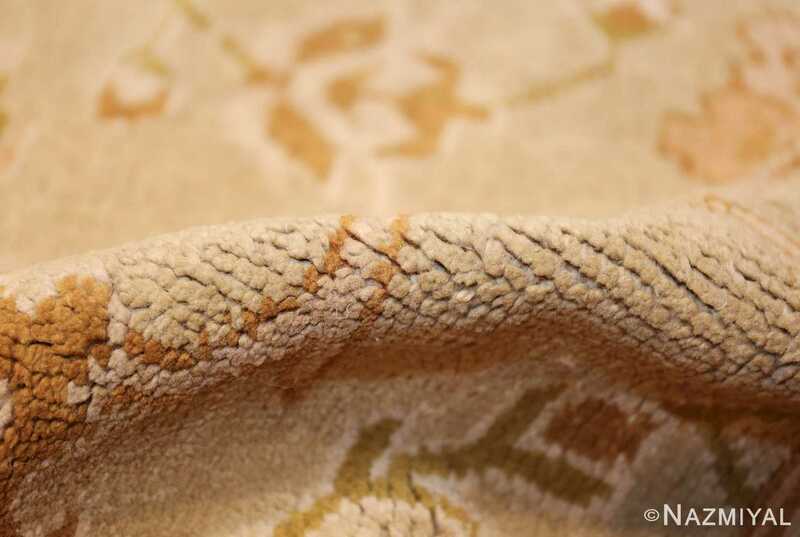 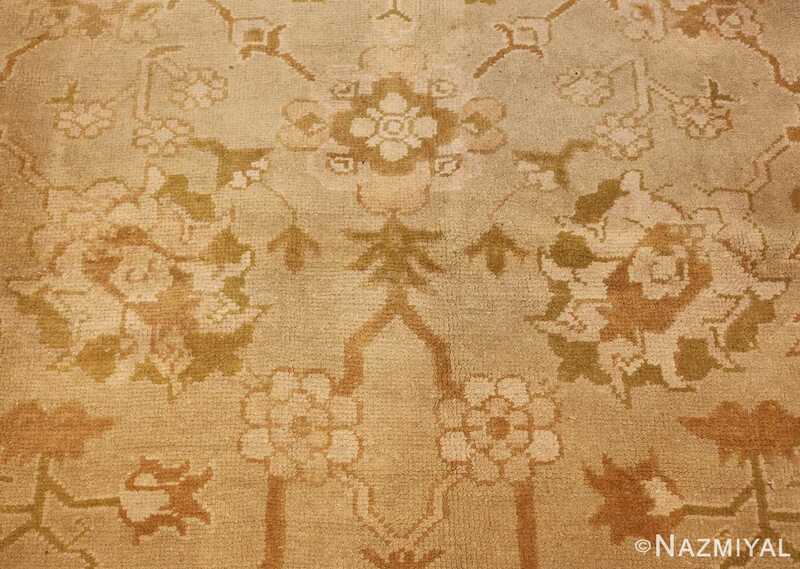 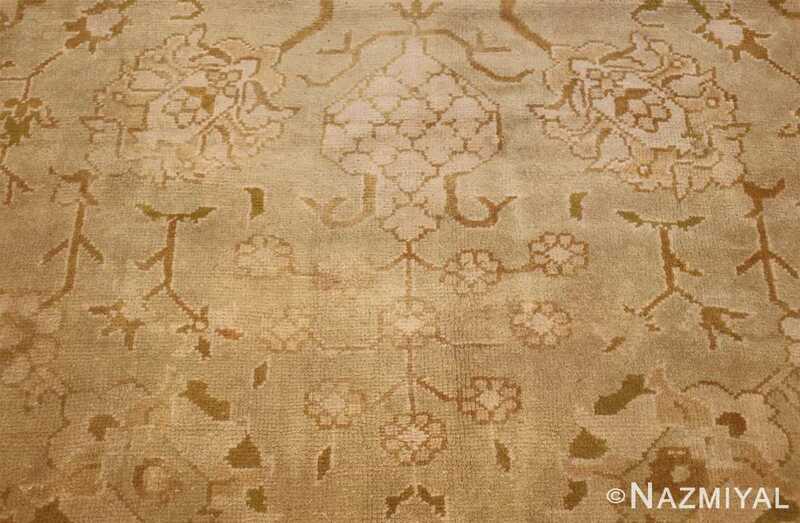 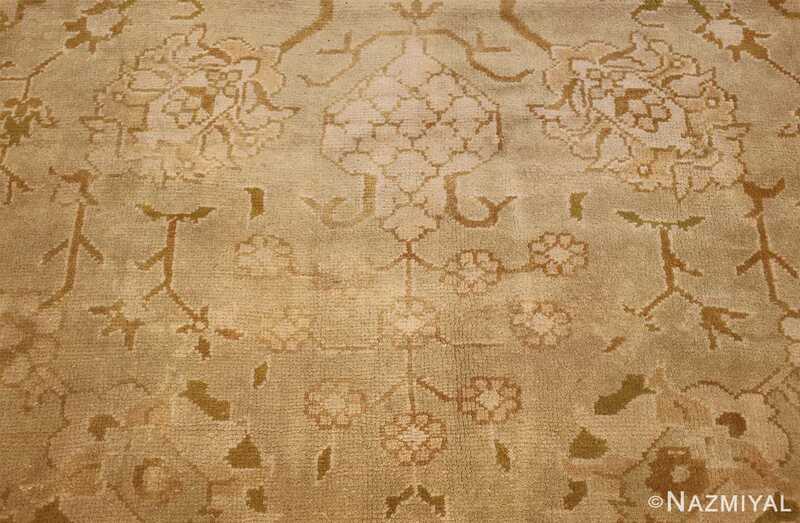 But the soft and reserved coloration make this one the most decorative of the later Oushak rugs. 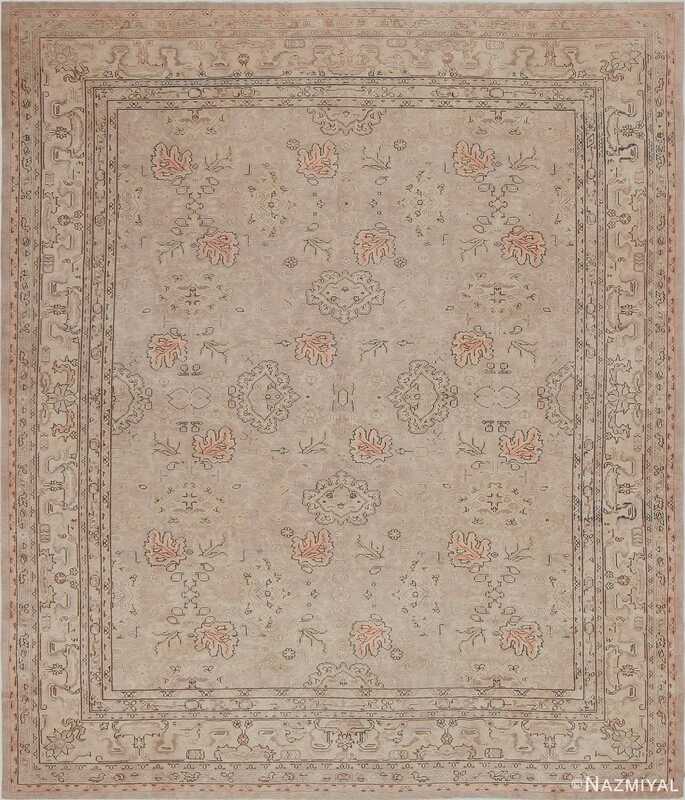 This magnificent antique Turkish Oushak rug is characterized by a beautiful monochromatic composition, rendered in greys, with a sumptuously - albeit deceptively - minimalistic field.